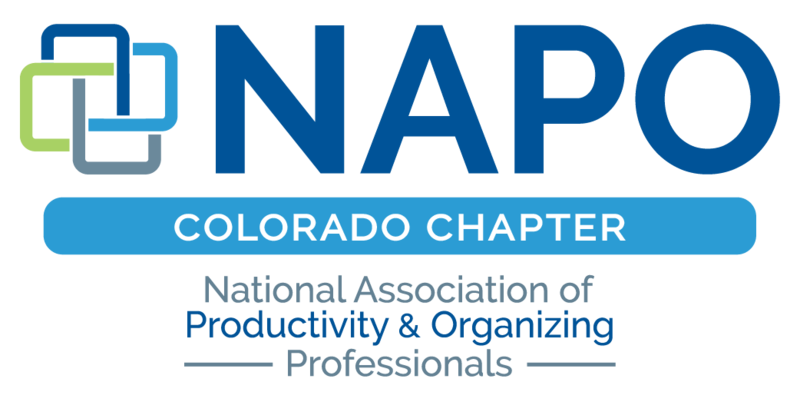 NAPO Colorado - Virtual Organizing: Organize Anyone, Anytime, Anywhere! Virtual Organizing: Organize Anyone, Anytime, Anywhere! Join us online March 14th for a special live webinar! March 14th, 2018 6:00-7:30 p.m.
Free for NAPO CO members! Virtual organizing is a growing trend in our industry. It allows you to expand your client base beyond your local area and increase your earning potential. Certified Professional Organizer® and virtual organizing pioneer, Sarah Buckwalter will teach you everything you need to know to become a virtual organizer. In this engaging presentation, Sarah will offer strategies based on her own success with virtual organizing. You will learn the systems, tools and technology you’ll need to develop virtual organizing services. Sarah will also provide you with a step-by-step process for working with clients virtually, so you can organize anyone, anytime, anywhere! Certified Professional Organizer®, Sarah Buckwalter, has over 18 years of experience running an award-winning, multi-person organizing business, Organizing Boston. Highly regarded and nationally recognized as an organizing industry expert, Sarah frequently lectures on organizing and business development. She has shared her organizing expertise in print and on dozens of news and television programs. Sarah has appeared several times on the hit television series, “Hoarding: Buried Alive” on TLC. With a passion to grow the organizing industry, Sarah developed Organizing U. Organizing U offers an organizing directory, online courses and virtual organizing programs to help people get organized. Organizing U also offers training programs for Professional Organizers.